When the storms of life cause you to lose faith, don’t forget who is in your boat. 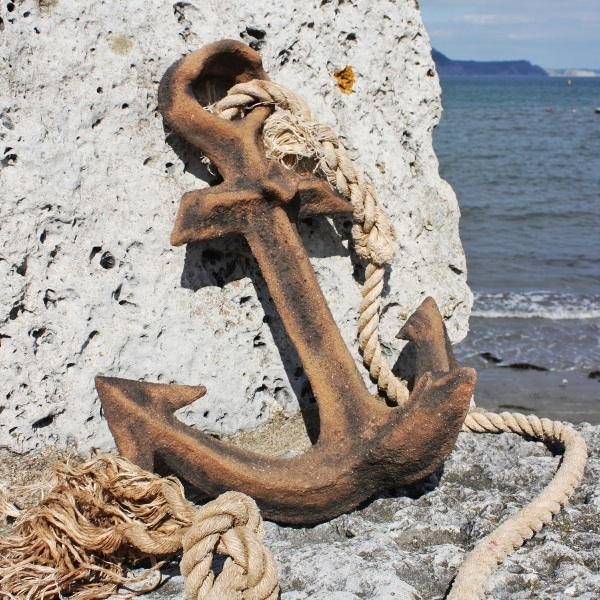 This week I read a great article from In Touch magazine on hope as the anchor of the soul. Here’s a section of it. Many people in the world, maybe even you, are facing terrible storms in their lives: broken homes, joblessness, loneliness, loss, world crises. These things slash at the very fabric of our hope in Jesus. It may even seem as though we are lost, adrift at sea in a small boat during a hurricane. How on earth will we be able to reach the shore safely? When Jesus awoke, He rebuked them for their lack of faith. Then He proceeded to calm the storm. Through this dramatic demonstration of His power, He showed Himself to be Lord over all creation. It was also a clear lesson about where we are to turn when storms arise in our lives. Sometimes people think their challenging circumstances mean that God isn’t paying attention. That’s what the disciples thought—until Christ rose to calm the turbulent waters. Nothing is beyond the control of our sovereign Lord. When the world—or even just our own personal “world”—seems out of control, Jesus is still Lord of all. So what should you do when you think He is sleeping? The answer is simple: Thank God that He is in the boat with you. And then look at your situation through eyes of hope and trust. So this week, may you come to know and understand more deeply the hope that anchors you. May this hope centre you and surround you. May you walk in this hope, knowing that it goes before you, behind you, is above and beneath you. May you come to know that the hope is closer to you than breathing, and is the very air that you breathe. I am always grateful for you careful thoughts David, and this is no exception, with the Mutton Birds’ song and your own succinct poem anchoring one in reality. A good Lenten reflection. That’s a great reminder David. Though our hope/trust IS in Jesus the Christ, Messiah, Saviour, when we are in the midst of the storms of our life it is often very difficult to feel Him near or to wake Him! However, all storms do finally come to an end and it’s often not until they do that we can see Jesus WAS in control all along. Keep the faith!